Google today announced an update to its note-taking Keep app, adding time and location reminders as well as making it easier to add photos to your notes. You can download the new Android and Chrome apps from Google Play and the Chrome Web Store respectively, or simply check out the updated Web version on Google Drive. 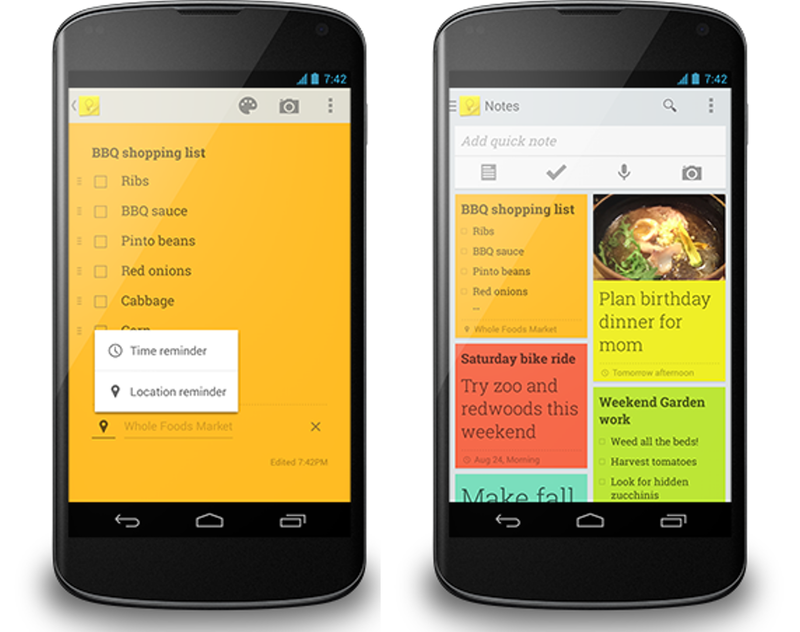 Google Keep can now remind you of important tasks and errands “at just the right time and place” by working with Google Now. Examples include reminding you of your grocery list when you walk into your favorite grocery store or nudging you what trash bins to put out on a specific week night. To use the new feature, hit the new “Remind me” button at the bottom of any note and choose the type of reminder you want to add. You can choose a specific date or general timeframe as well as a location (start typing and Google Keep will suggest places nearby). Reminders work just like your alarm clock. If you get prompted but don’t want to deal with it right away, you can snooze it to a time or place that’s better. There are two more updates worth noting. Google Keep has a new navigation drawer for all your notes that also includes a way to view all of your upcoming reminders in one place and lets you easily switch between your work and personal accounts. 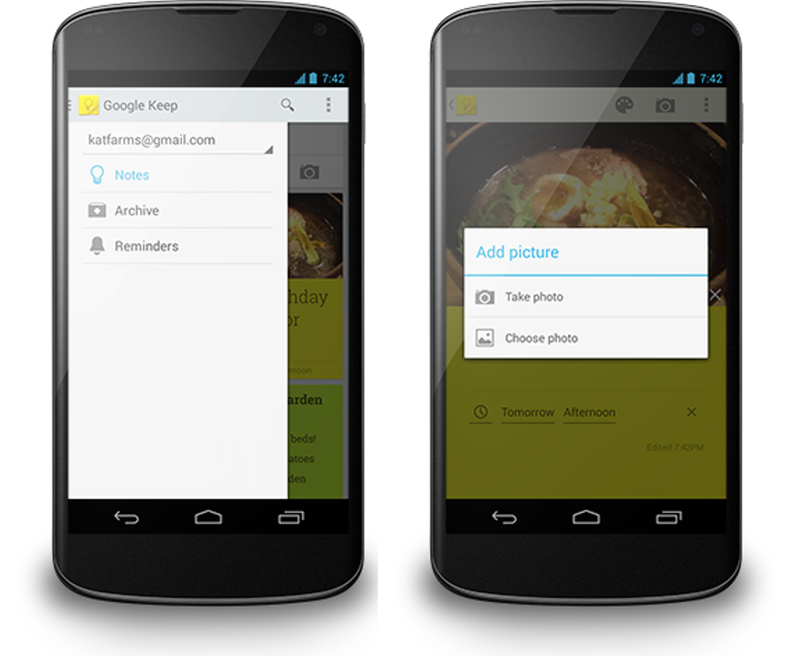 Furthermore, Keep now lets you add your existing photos to a note on Android: tap the camera icon to choose between taking a new photo or adding one you already have from your Gallery. Unfortunately, there’s still no news regarding an iOS app. We’ll keep you posted when we find out more.